Love Anime? Then The London Anime Con 2013 Should be Right Up Your Street! The London Anime Con 2013 is due to take place this weekend…That’s Saturday 9 – Sunday 10 February 2013! There’s something for the gamers, the cosplayers, the anime fanatics, the Japanese music fans and the cutesy fashion fans. The event will feature a variety of cool things to do including: kareoke, gamers day, cosplay auction, anime party, bring and buy, voice acting workshops, dub that anime, anime screening, stalls…and loads more. This year’s guest of honour will be Caitlin Glass, best know for the voice of Winry Rockbell in Fullmetal Alchemist (one of my personal favourite animes). There are hundreds of reasons why you should get yourself down to the London Anime Con this weekend and these are just a few. Tickets can be purchased on Saturday and Sunday on the doors. Where? The Rocket Complex (nearest tube station: Holloway Road). When? This weekend. Saturday – 11am – 12 midnight and Sunday 11am – 11pm (you can get in at 10:45am if you have pre-booked tickets). To find out more check out the London Anime Con website. I will be at the event tomorrow so follow me on Twitter for updates, and watch this space for my review, photos and video montage of the London Anime Con 2013. Previous Off The Scale Music Madness Not To Be Missed! Excellent site. Plenty of helpful info here. I’m sending it to a few pals ans additionally sharing in delicious. And naturally, thank you to your sweat! posts as long as I provide credit and sources returning to your website: http://thealtentertainer. and in depth information you present. It’s good to come across a blog every once in a while that isn’t the same out of date rehashed information. Excellent web site you have here.. It’s hard to find quality writing like yours nowadays. I really appreciate people like you! Take care!! to say I truley get pleasure from looking through your weblog. I decided to bookmark it at delicious.com with your title: Love Anime? 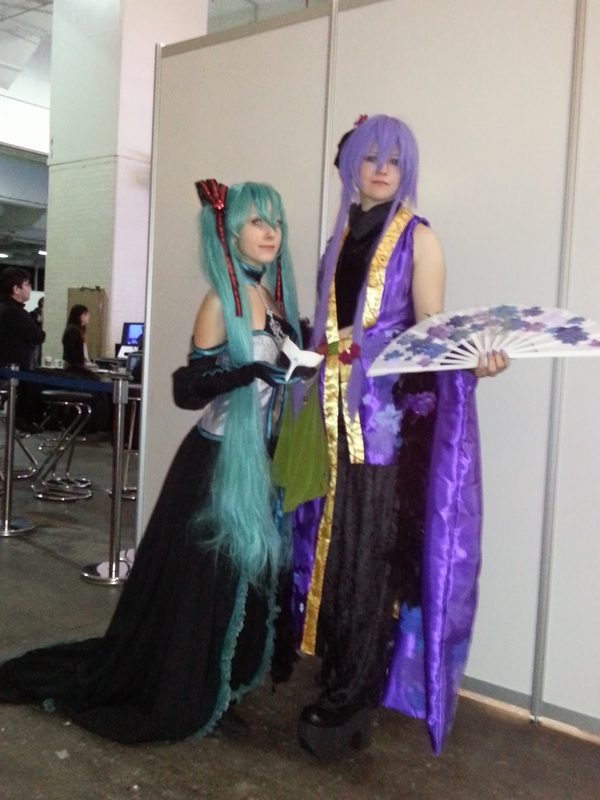 Then The London Anime Con 2013 Should be Right Up Your Street! | The Alt Entertainer and your Website address: http://thealtentertainer. I hope this is alright with you, I’m making an attempt to give your wonderful blog a bit more coverage. Be back soon. appreciate it for the efforts. I’m really enjoying the theme/design of your web site. Do you ever run into any web browser compatibility issues? A few of my blog audience have complained about my blog not working correctly in Explorer but looks great in Safari. Do you have any tips to help fix this problem? I’d really like to be a part of group where I can get opinions from other experienced individuals that share the same interest. If you have any suggestions, please let me know. Bless you! I’ve no expertise in computer programming but I was hoping to start my own blog in the near future. Anyway, should you have any ideas or tips for new blog owners please share. I know this is off subject but I just needed to ask. Many thanks! I rarely leave comments, however i did a few searching and wound up here Love Anime? | The Alt Entertainer. And I do have some questions for you if it’s allright. Could it be just me or does it seem like a few of the comments come across as if they are coming from brain dead visitors? 😛 And, if you are posting at other places, I’d like to keep up with anything new you have to post. on. You’ve done an impressive job and our entire neighborhood shall be grateful to you. Thanks for finally talкing aƅout >Love Anime? Then The London Animme Con 2013 Shoulԁ be Right Up Your Street! | The Alt Entertainerr <Liked it! will bee waiting for your further post thanks onxe again. of yor useful information. Thanks for the post.